Induction rice cookers are one of the best ways to achieve consistent texture and flavor for your rice. They are efficient and produce uniformly cooked rice. If you don't want to monitor your rice while it is cooking on the stove, an induction rice cooker can help you. They’re great for making small or large portions for daily dishes or for meal prepping. Consumers have many options to consider when thinking about which rice cooker to buy, as they vary in terms of features, capabilities and price. We review the Zojirushi Induction Heating Pressure Rice Cooker & Warmer 1.0 Liter, Stainless Brown NP-NVC10. Zojirushi, a manufacturer of premium kitchen appliances and vacuum insulated products, celebrated its 100th anniversary in 2018. They have been distributing their products in the United States for 31 years. Zojirushi is known to produce innovative, durable and quality products. Their line of rice cookers varies in price according to the features offered. The Zojirushi NP-NVC10, manufactured in Japan, is a top of the line induction heating rice cooker. It is equipped with fuzzy logic (a form of artificial intelligence), induction heating, pressure cooking and a platinum infused pan. The cooking capacity of the Zojirushi NP-NVC10 model is 5 ½ cups (1 liter) of uncooked rice. A 10 cup model, the Zojirushi Induction Heating Pressure Rice Cooker & Warmer 1.8 Liter, Stainless Brown NP-NVC18 is also available. Scorch setting produces crispy and toasty golden brown rice. This unit is user friendly and has a stainless steel exterior and an easy to read LCD control panel. It also includes a clock and a delay timer that can be used to program the start time of the rice cooker. This induction pressure rice cooker has a retractable power cord that supports 120 volts. Zojirushi provides two measuring cups that must be used to measure the uncooked rice. The clear cup is 6.1 oz and the green cup that is used to measure rinse-free rice is 5.8 oz vs the 8 oz U.S. measuring cup. Additionally, an instruction manual in English, French, Traditional Chinese, Korean and Japanese is provided. Timer – set the timer so the rice will finish cooking at a particular time. Be sure to set the current time on the clock (in military time) before using the timer function. In 1907, a Japanese chemistry professor, Kikunae Ikeda, sought to identify a particular taste found in cheese, some cooked meats and tomatoes. This taste was not one of the four well known tastes - sour, sweet, bitter or salty. Dr. Ikeda knew it was in a certain type of seaweed that was used in soup bases. He isolated crystals of glutamic acid, an amino acid from this seaweed, and found that glutamate was the distinctive taste. He named it Umami (savory taste). The Umami setting on the Zojirushi NP-NVC10/18 is intended only for use with white rice. When activated, the rice is soaked in water longer and steamed longer than if the white rice setting was selected. The theory is that this extra time allows the natural sugars of the rice to be released into the water. These sugars are then reabsorbed into the rice when the cooking begins. The result is rice with a savory taste. The Regular Keep Warm function is activated once the rice is cooked. This allows the rice to be kept warm and fresh until it is ready to be eaten. 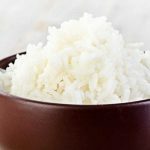 However, it is not to be used for keeping rice warm for more than 12 hours, reheating cold rice or for rice containing extra ingredients or seasonings. The Extended Keep Warm mode can be activated during the Regular Keep Warm mode. This feature is not to be used for keeping rice warm for more than 24 hours. If the Keep Warm Mode has been activated, and the rice has not been loosened within the first 10 minutes, the Keep Warm Monitor will remind the cook to loosen the rice. This reminder comes in the form of 4 short beeps. If the rice has not been loosened within 10 minutes of the completion of the cooking cycle, the monitor will emit the beeps again at 40 and 70 minutes after the rice is cooked. The beeps can be disabled by switching to the silent mode. The Reheat Mode can be used during the Regular Keep Warm or the Extended Keep Warm modes. It is used for keeping the rice hotter during these modes and can be used only when reheating white rice. 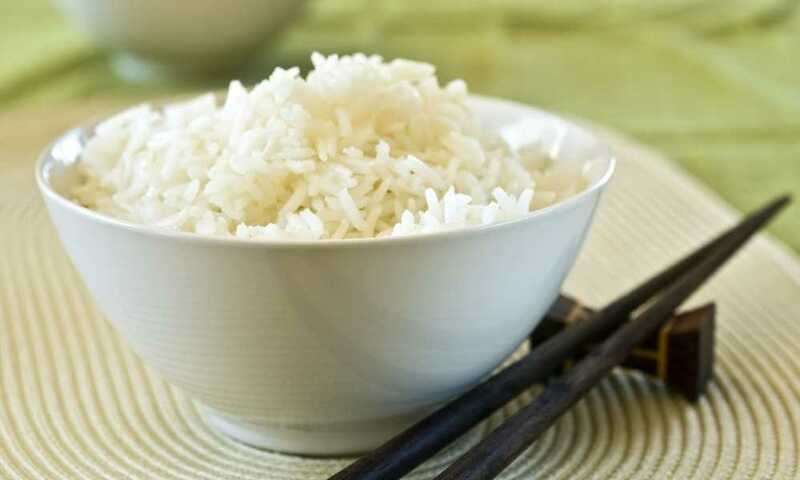 If it is used when reheating other types of rice, the grains may become discolored or burnt. Additionally, the Reheat Mode may only be used once, otherwise the rice may become scorched or dry. When this feature is being used, it is important to loosen the rice. Zojirushi claims the steam-reduce setting reduces steam to 50% of the regular setting. When this feature is used, the cooked rice will have a firmer and harder texture than if a regular setting was used (white, brown, GABA etc). This is a separate setting and can only be combined with the rinse-free setting. It would probably be used if the cooker is situated in a space where there is limited space above the cooker. This Zojirushi induction pressure rice cooker has a special setting that will adjust the cooking time and temperature for preparing rinse-free rice. This variety of rice is processed in a way that does not require the consumer to rinse it prior to cooking. During the milling process, the bran, excess surface starch and residues from the rice, are removed without affecting the quality of the rice. Since the rice grains are smooth and more slippery, more will fit into the 6.1 oz cup provided by Zojirushi. Therefore, it is important to use the green measuring cup (5.8 oz) that comes with your cooker, to measure the uncooked rinse-free rice. If you don’t use this cup, the texture of your rice may be harder than you would like. The Brown and GABA Brown menu settings cannot be selected while the Rinse-free mode is selected. If they are chosen, the menu setting will change to White Rice/Regular. The scorch setting lightly toasts the bottom of the rice and is often used to make fried rice dishes. This is a separate setting and cannot be combined with other settings. It is recommended that if this feature is used, the rice be eaten immediately after it is cooked. The four parts of the rice kernel are: the hull, bran, germ and the endosperm. The hull is the hard-outer part and is not edible. Bran is the outer skin (multi-layered) that protects the inner parts of the kernel. It contains minerals, vitamins and fiber and gives rice the brown color. The endosperm makes up most of the kernel and contains a lot of starch, some proteins and very small amounts of vitamins and minerals. 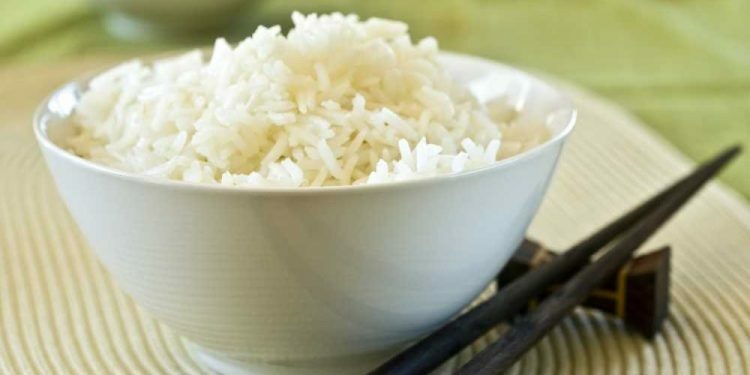 The germ is the part from which a new rice plant can grow and has B vitamins and some protein. Brown rice is the whole grain rice with the outer hull removed. White rice has the outer hull, the bran layers and the germ removed. Brown rice takes more water and more time to cook. It is thought that because the germ and gran have fiber and larger amounts of nutrients, brown rice is healthier than white rice. GABA stands for gamma-aminobutyric acid. It is a non-protein amino acid (not found in genetic code). When the GABA setting on the Zojirushi NV-NPC is selected, the cooker will soak the brown rice for two hours at 104°F after which it will automatically begin cooking the rice. The main benefit of the GABA Brown setting is that the brown rice is softer than if it were cooked on the brown rice setting. However, it is not cooked to the point of being mushy. According to some scientific studies, the germination process of the brown rice could induce the formation of new compounds such as GABA. This is of interest because some scientific publications have reported GABA inhibits blood pressure elevation in rats. The hope is that it will be proven that GABA will have the same effect on humans. Fuzzy logic is a form of artificial intelligence (AI). This type of logic handles situations that cannot be answered in a way that is completely true or completely false, but those of partial truth. For example, it could be used to reason about a vague concept such as whether someone is young. Programming fuzzy logic into the micro-computer allows appliances such as this rice cooker, to think for itself (resembling the way a human would think) and make adjustments while the rice is cooking. The temperature and cooking time are controlled by a micro-computer chip depending upon the menu selected. The computer chip in this rice cooker is programmed to use fuzzy logic in a few ways. For example, there is a sensor that monitors the water content in the pot. If the water level reaches a certain point, this cooker will change the temperature since less heat is needed. In a model without fuzzy logic, the heater would just switch off. Another example is that this unit remembers how much uncooked rice is placed in the pan most often. It uses this information to select the ideal cooking process from the beginning. Specifically, the microchip will set the appropriate cooking times and temperatures and will determine the right amount of time needed to soak the raw grains. Another feature of the AI in this model recognizes the temperature of the cooking environment. If it is hot outside the kitchen will be warmer, and the rice cooker will heat up faster than if it is cold outside. This induction rice cooker will compensate by adjusting the heating element temperature, allowing the water to be heated slower. This is important because you don’t want all the water to be used (absorbed or evaporated) before the rice is finished. The bottom line is that the rice will be cooked the same way (texture, consistency) regardless of the season. This induction pressure rice cooker also takes into consideration how many times the lid was opened and for how long. The time and temperature required to keep the rice ready for serving is then calculated. Pressure cooking seals the heat and moisture inside the cooker allowing higher temperatures to be reached. When under pressure, the heat and water are absorbed into each rice grain cooking it from inside to the outside. When the menu is selected, the unit automatically chooses one of three pressure settings, then adjusts the cooking time of the rice. Pressure cooking helps turn beta starch into alpha starch. This makes the rice softer and easier to digest. It also cooks rice faster than rice cookers that don't have this function. The pressure cooking feature is not activated when these three pressure settings are selected: white (harder), sushi, sweet and porridge. The Zojirushi induction heating rice cooker has numerous safety features including a pressure control valve, back-up safety valve, inner lid valve, and an inner lid filter. It also has a pressure indicator that locks the lid when the pot is under pressure. The Zojirushi NP-NVC10/18 uses induction heating. In this type of heating system, an electrical current passes through copper coils producing a magnetic field. This field is activated when the pan is placed in the rice cooker. Heat is then generated throughout the full inner pan not just the bottom as in conventional heating methods. 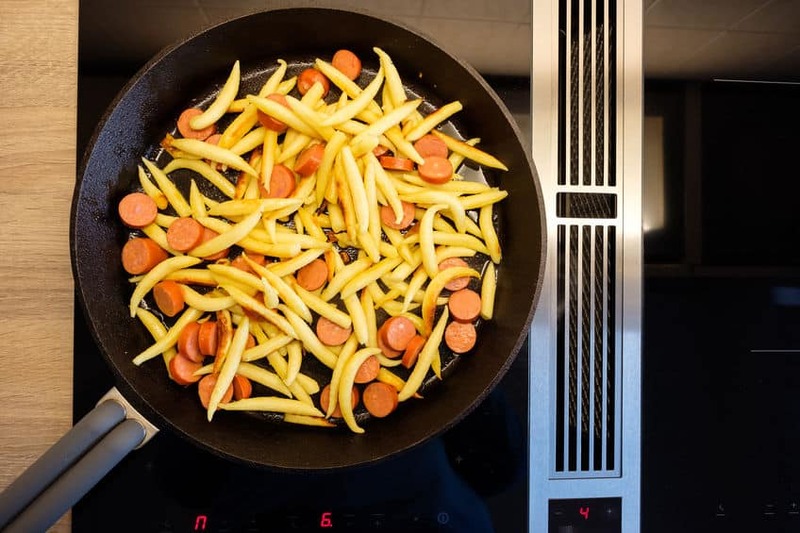 Since the entire pan is the heating element, it will heat up faster and the food will be more evenly cooked. Additionally, the temperature control is more precise with induction heating than when heat comes from just the bottom of the pan. Zojirushi manufactured the pan for this cooker with nonstick coating infused with platinum particles. They claim that when the inner pan is heated, water is alkalized. Alkalized water in this situation serves two purposes. First, it breaks down the protein that is on the surface of the rice grain. Second, the water is absorbed more easily by the rice grain. The result is that the sweetness of the rice is released, thereby enhancing the flavor of the rice. This Zojirushi Induction Heating Pressure Rice Cooker & Warmer 1.0 Liter, Stainless Brown NP-NVC10 is an innovative product that combines artificial intelligence, induction heating, and pressure cooking. As the review suggests, this state-of-the-art unit will produce delicious and perfectly cooked rice. For those who do not like the texture of brown rice, the GABA Brown setting might just make them converts. If you cook a lot of rice and you’re looking for a more effective way to get the perfect rice cooked in less time, this luxury product is worth considering. It is especially useful for families who find themselves eating rice every day or even more than once a day. This model is also very handy if you’re looking to make large batches of rice or need to keep your rice warm when you’re hosting a dinner party or attending a potluck supper. Those who eat rice frequently, enjoy eating it prepared in different ways and appreciate terrific flavor and texture will be ecstatic with this quality product even though it is expensive. 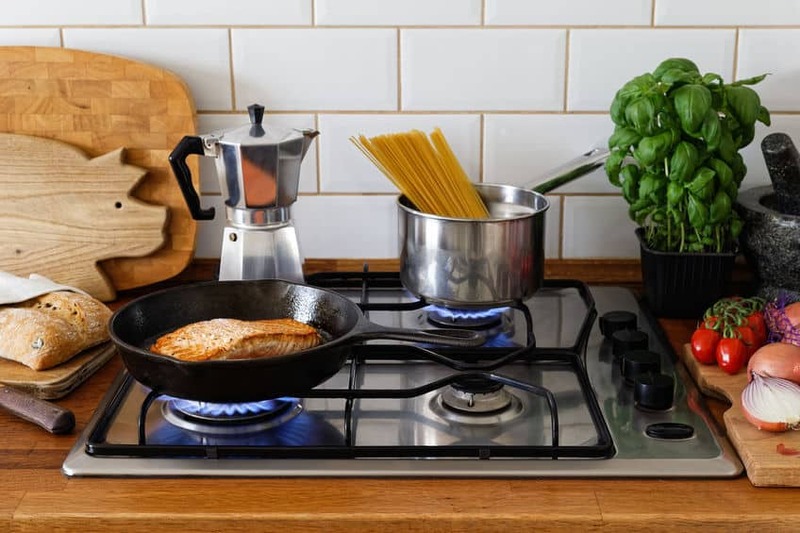 However, if you only want to cook white and brown rice and are not interested in a lot of specialty functions, this cooker probably is not worth the extra cost and you would be better served considering a less expensive option. 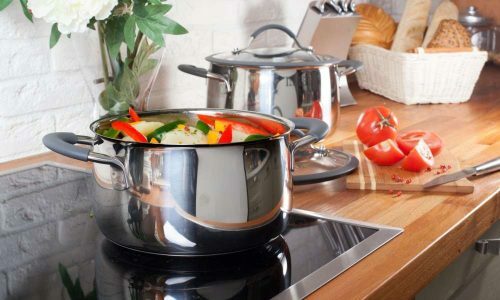 Hopefully, this article has helped you decide if the Zojirushi induction heating pressure rice cooker and warmer is a kitchen appliance you would like to buy. If you don't think you need all of the features the NP-NVC10 offers, Zojirushi makes other types of induction rice cookers. The Zojirushi NS-TSC10 5-1/2-Cup (Uncooked) works just as well and is less expensive than this current model. 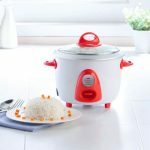 If you're looking for one which has minimalistic functions but can still cook rice well then, this rice cooker may be a good fit for you. The NS-TSC10 model can automatically keep your rice warm and can even extend the warming cycle to reheat the rice every now and then. This option is perfect for people who plan to serve dinner parties, etc. There is an interchangeable melody and beeping signals that lets you know when the rice is done. For easy storage, it has a retractable power cord. The option to buy either a 1 liter or a 1.8-liter rice cooker is available. Another option is the Cuckoo Electric Induction Heating Pressure Rice Cooker CRP-HZ0683F. 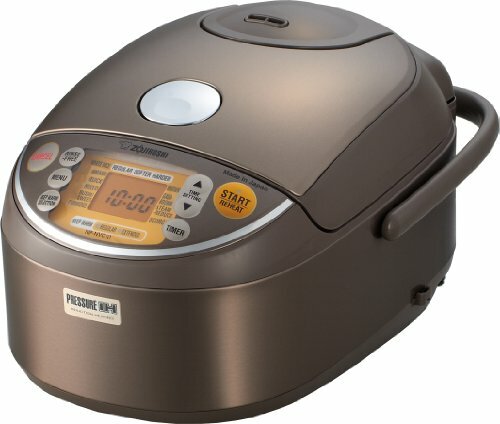 We compiled a detailed review of this induction heating pressure rice cooker.